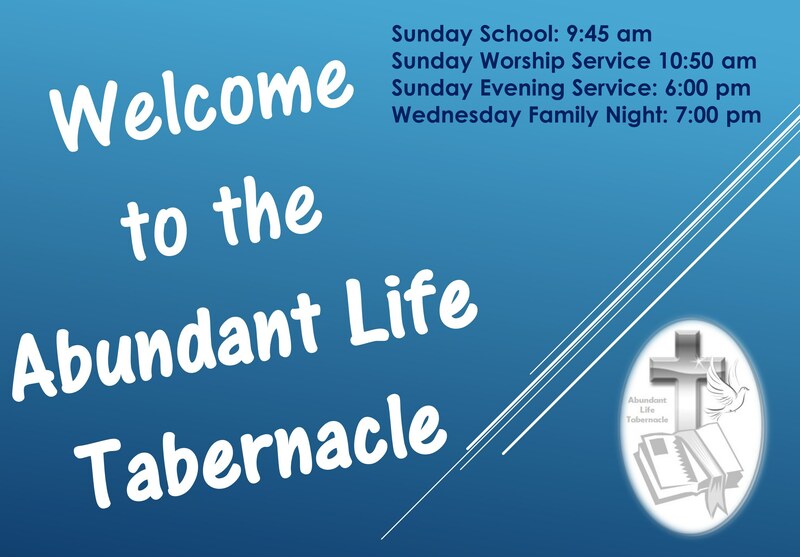 The Abundant Life Tabernacle is a Full Gospel Church that believes in the five cardinal doctrines: Salvation, Sanctification, Baptism of the Holy Ghost, Divine Healing, and the soon return of our Lord Jesus Christ. We also believe it is our duty as Christians to tell the World Jesus Saves. We encourage you to navigate our website and join us for Sunday or Wednesday services, You will find our people to be friendly and the Word of God not watered down. Service times are listed on the Schedule page. Emotions of the Empty Tomb (cont) (Matthew 28:1-7) by Pastor Derek Jones on April 21, 2019. 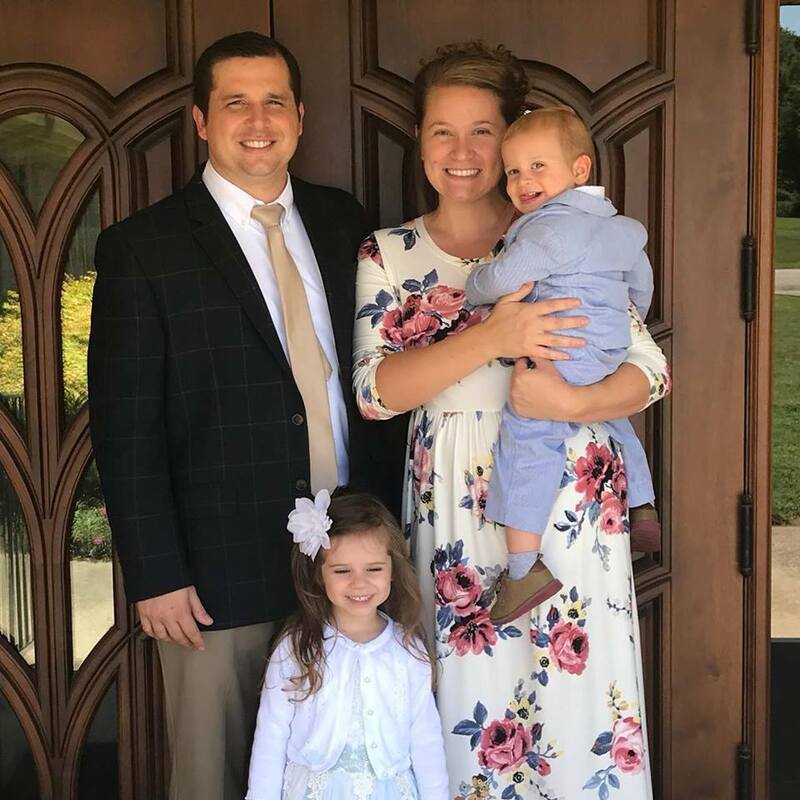 Emotions at the Empty Tomb (Matthew 28:1-7) by Pastor Derek Jones on April 21, 2019. The significance and seriousness of Communion (1 Corinthians 11:23-34) by Pastor Derek Jones on April 14, 2019. Family Night - Bible Study for adults and classes for all ages. Come Join Us!! Sunday School at 9:45. Sunday Morning Service at 11:00. Everyone Welcome! 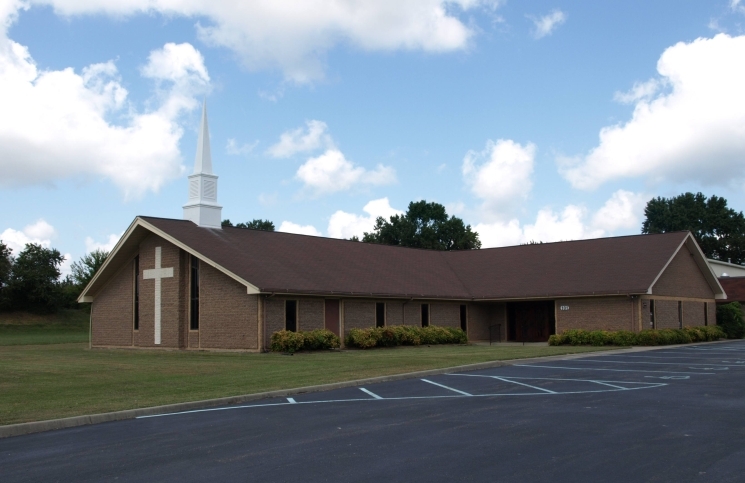 Sunday Evening Service at 6:00pm. Come Join Us!